Political activity in the State has suddenly become hectic with both the ruling BJD and the Opposition Congress in the midst of a “padayatra” race in their bid to outdo each other. With talks of an early election doing the rounds, Chief Minister Naveen Patnaik seems to be in a poll mode. He toured at least three districts during the last fortnight and announced several schemes to woo the tribals, the slum-dwellers and the BPL families. Several new fronts and political parties have taken birth during the last two weeks as an alternative to the big parties __ BJD, Congress and BJP. About a dozen small regional parties and outfits floated the Odisha Jan Sammukhya (OJS) on September 30 with an aim to jointly contest the next elections and promised a corruption-free political front. The OJS, which harbours political ambitions, said it will soon announce its chief ministerial candidate for the 2014 Assembly elections. A day later on October 1, yet another political party, the Biju Swaabhimaan Dal (BSD), was floated to put up candidates in the 2014 elections. Launching of the Odisha Jana Morcha (OJM) by BJD dissident Pyarimohan Mohapatra has made the situation murkier. Though the OJM is yet to announce anything about its future course of action, it is certain that BJD dissidents will rally round Pyari in the coming days. Unlike other elections, a resurgent Congress is on ‘padayatra’ intensifying its ‘Naveen hatao’ campaign. Besides launching the BJD’s ‘padayatra’ from Khurda district, Naveen inaugurated a sewage system funded by Japan International Cooperation Agency. While ministers, MLAs and party leaders were busy in the ‘padayatra’ from October 2, the Chief Minister visited the tribal-dominated Koraput district on October 4. His proposed visit to Malkangiri district on the same day had to be cancelled due to inclement weather. 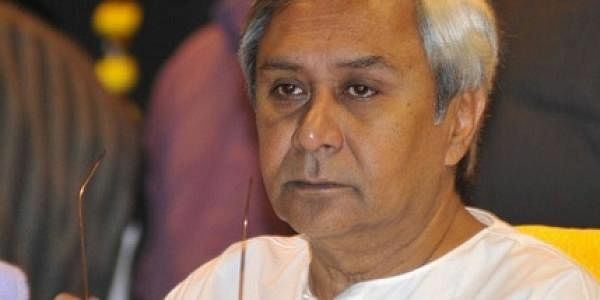 Sources said Naveen will extensively tour the State after the ‘puja’ festivals. To counter the Congress campaign against him, the Chief Minister has been emphasising on 13 welfare programmes launched by the State Government during the last 12 years. Besides, the BJD is also highlighting 10 scams during the UPA regime at the ‘padayatras’. Gram sabhas and palli sabhas conducted in the villages will also give the BJD an upper hand. Naveen hurriedly launched yet another bi-cycle scheme on October 2 for boys of Class X belonging to BPL families.